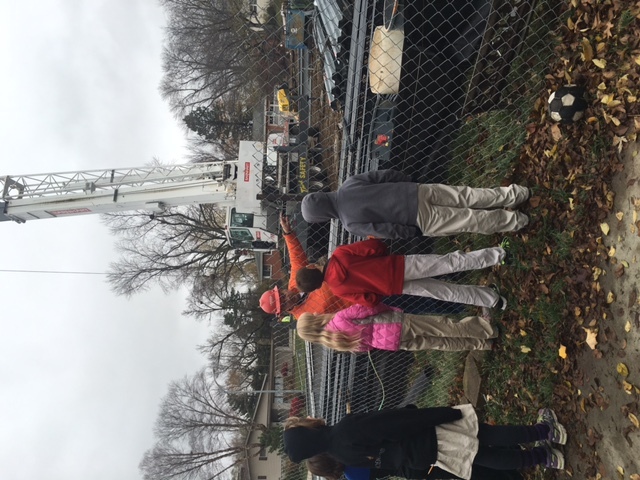 Yesterday our students went on a construction-themed field trip… right in our own backyard. 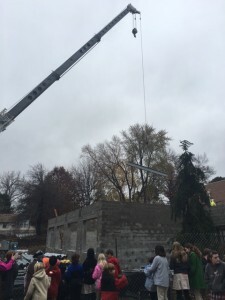 Our building expansion project is running along smoothly and workers have just begun to erect the steel beams. Adding the steel beams requires big machinery (including a crane that weighs 40,000 pounds) making it the perfect time for our students to see construction work in action! 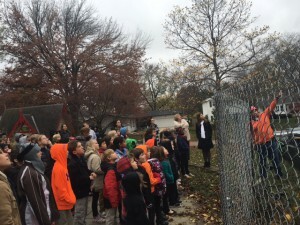 Charles Vrana & Son, the company working on our expansion project, kindly put together a presentation for our students on the back patio overlooking the fenced-off construction site. 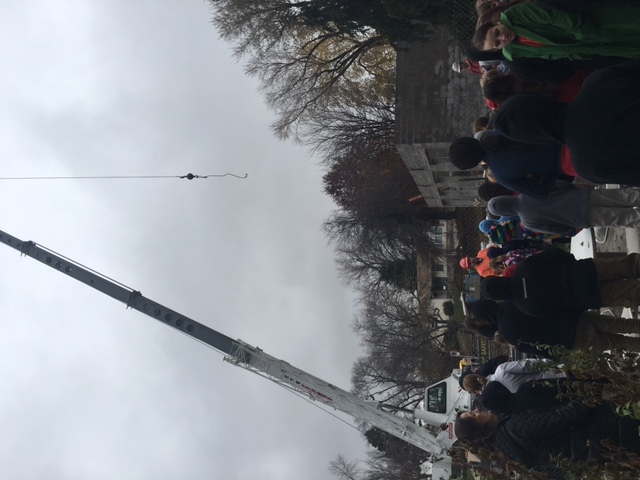 During the presentation, our students learned all about different types of construction careers and the college degrees and apprenticeships required for that career path. 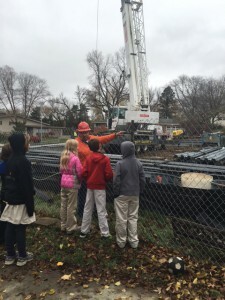 The students had a blast asking questions and watching the crane lower the steel beams one by one. Thanks Vrana for a fun and educational presentation! 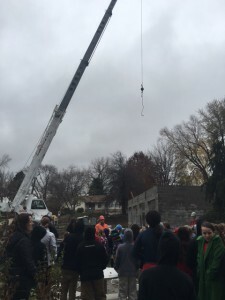 Posted in Events, General, School and tagged construction, expansion, Field Trip, school, Students.